Carbon Poker is one of the best online poker rooms accepting U.S. players today. They offer downloadable poker software specifically for Mac users, as well as a fantastic casino and full sportsbook. Every single piece of their software is 100% Mac compatible and they offer tons of deposit methods for those living in the USA. Poker players in the United States looking for a huge bankroll boost can stop now, as Carbon Poker is offering a 200% welcome bonus up to $5,000. Our review of Carbon Poker will give Mac users every piece of information that they need to know before opening an account. We discuss their sign up bonuses and promotions, highlight all of their best games, and which ones are Mac compatible. Finally we provide you with all of their latest deposit methods for U.S. players and how to make a withdrawal. Is Carbon Poker Mac Compatible? Carbon Poker is fully Mac compatible with the minimum system requirements simply being an OSX 10.5 or higher, Intel based system, and 50mb of free disk space. Their software is Java based so Macintosh owners will enjoy a clean and fluid game. Carbon Poker does not have an instant play or flash version of their software, as they opted to only provide the much more reliable download version to their players. This means that not only is their poker room Mac compatible, but their casino and sportsbook are too. The Carbon Poker sign up bonus is one of the biggest online poker bonuses available to U.S. players today. You will receive a 200% welcome bonus on your first real money deposit up to $5,000. 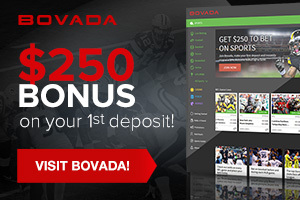 You will also earn 150 VIP points for every $1 you deposit, with the minimum deposit being $25. Carbon also offers players residing in the USA a fantastic reload bonus of 100% up to $500, on a minimum deposit of $25. Players also enjoy happy hours where they will earn extra VIP points, a poker odds calculator and free poker training. Mac owners will find it extremely easy to open a Carbon Poker account, as you only have to go to the big pink “play now” button at the top of this page to visit their website and initiate their download poker client for Mac. That’s it – one click of a button. Once downloaded open the software, click “create account”, fill in the necessary information, and then make your initial deposit. The entire process takes less than five minutes. As mentioned previously, Carbon Poker is one of the best options on the internet today for Mac lovers because they have created every one of their casino games with Java software, and therefore they obviously had Macintosh users in mind every step of the way. They have a poker download client for Mac which includes a full suite of over 100 casino games as well, all of which look beautiful on a MacBook Air or Pro. U.S. players will love the Carbon Casino as it has a whopping seven different blackjack games: American Blackjack, American Blackjack – HS, Blackjack, Blackjack 52, Blackjack Super 7s, Blackjack Switch, and Spanish Blackjack. Players residing in the USA will see all of their favorite games in the Carbon Casino such as craps, roulette, baccarat, Red Dog, Pai Gow and Casino War. They also offer players a live dealer casino with all of the standard games available. Carbon offers Mac users over 100 different slots games, scratch cards, mini games, keno games and a practice casino, making it one of the best U.S. online casinos to play in. Carbon also offers Mac users a full Racebook which they can also access from anywhere via their iPhone – they even give you a $25 free mobile bet to get started. The Carbon Racebook rebate is one of the biggest in the business, with 8% returned to players daily on exotic wagers, and 3% returned on straight bets. The Carbon Sportsbook also has a $25 free mobile bet that you can access through your iPhone, and they offer every major sporting event in the world. You can bet on NBA, NCAA, NHL, MLB and of course the NFL and soccer. The sportsbetting interface looks great on Macintosh products and placing a wager is a breeze. Carbon Poker has numerous deposit options for U.S. players, and poker and casino players from all over the world as well. They are well known in the online gambling industry for always being able to accommodate deposits of any size, and they have the highest credit card acceptance rate in the USA. Depositing into Carbon Poker with your Visa is free, but there is a $1,000 a day limit, and a limit of $6,000 per month. Unfortunately you can only use one eWallet for depositing on Carbon, Skrill (formerly MoneyBookers), but the good news is that Skrill is one of the best eWallets in the industry. You can also opt to use Cash Transfer which is an account to account bank transfer. These can be quite annoying to initiate, so credit card is usually the best way to deposit with Carbon. When requesting a payout of your winnings from Carbon you have the choice of a cashiers check or gift card, with the processing time currently being a whopping 6 to 8 weeks, ($50 minimum up to a maximum of $2,500). All players get one free payout per month, but after that each one costs $40. Canadian players at Carbon Poker can of course withdraw using Skrill and this usually takes somewhere between 3 and 5 business days. Close Open a Carbon account and start betting right away ! Play Now!